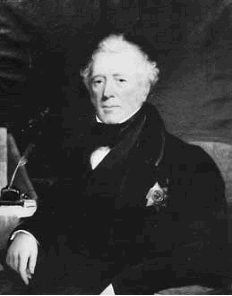 Sir Alexander Crichton book: An inquiry into the nature and origin of mental derangement: comprehending a concise system of the physiology and pathology of the human mind and a history of the passions and their efects. In the chapter “Attention”, Crichton described a “mental restlessness”. Crichton’s noted: ‘they have a particular name for the state of their nerves, which is expressive enough of their feelings. They say they have the fdgets” page 272. Dr. Crichton suggested that these children needed special educational intervention and noted that it was obvious that they had a problem attending even how hard they did try. 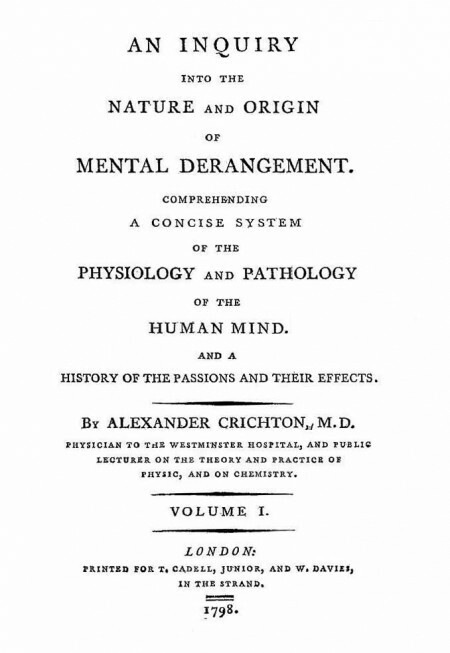 Alexander Crichton : An inquiry into the nature and origin of mental derangement : comprehending a concise system of the physiology and pathology of the human mind and a history of the passions and their efects. 1798. Palmer, E. D., and Finger, S. 2001. An early description of ADHD(Inattention Subtype): Dr. Alexander Crichton and the “MentalRestlessness” (1798). Child Psychology and Psychiatry Reviews, 6, 66-73. Professor Russell Barkley for material and kind advice. Professor Stanley Finger; at Washington University in St. Louis.